A messy desk, surrounding or environment is a depiction of progress. According to David Freeman, a messy desk means that something is getting done (Freedman, 2007). This assertion can be analyzed from different perspectives. In my opinion, I believe that a person’s character and organizational behavior are reflected entirely by their working environment. One of the reasons why I agree with the opinion of Freeman is based on the fact that progress is evaluated and determined from an ideal state towards utopia. However, many people fail to realize this fact and tend to elevate neat people. Arguing as an organized individual, the admiration we receive from disorganized people often makes us yearn for progress. This is contrary to the expectation of many. A neat, organized and well-prepared environment is the desire of many. However, it is not always a reflection of progress or work being done. Naturally I am a neat, organized individual. The majority of my peer's envy and desire to achieve an orderly and organized environment similar to what I possess. Little do they know that I envy their lifestyle. They are disorganized, and yet in the middle of all the mayhem they find their way and perform exemplarily. I am always marveled by how the brain of a disorganized individual works. It is like a magnet that repels all the essentials around it and slowly attracts them during the implementation phase. As a neat freak, one feels weak in the mode of thinking. This is a major reason everything is organized and put in place for quick remembrance. Despite being advocated as the best model of living and organization, neat people always feel left out and cannot exercise their minds out of the realm of their comfort zone. The result is a direct reflection of the level of performance between the two individuals. Since they are not afraid to venture into the unknown and to forget, disorganized people always perform better than organized people. A good example is the guy in my junior class who used to perform exemplary well in mathematics. His work was disorganized to say the least. However, space limitation did not hinder his ability to express his arguments and methods until he got the right answer. Unlike me, he did not care about providing neat and tidy work. On the other hand, I was so much focused into neatness that I always overlooked the most important aspect of mathematics; providing the correct answer. Lastly, messy people unlike neat freaks are not affected by the environment to perform their duties and be equally productive. From a personal point of view, one of the greatest challenges of an organized individual is changes in the environment. A disorganized person pays little or no attention to the surrounding and the setting of the workplace. On the contrary, a neat individual will spend most of the time arranging the workplace to fit their comfort zone. For example, personally it is naturally difficult to study in a table full of disorganized and unrelated material with what I am studying. This is true either at home or at the library. Comparing this with my friends, they dive directly into studies with nothing bothering their concentration. 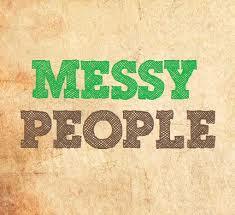 Therefore, I conquer with Freeman’s assertion that messy people are improvisational, and maintain more impressive workloads, unlike organized individuals (Freedman, 2007). There is no time wasted in cleaning up and getting organized. Freedman, David H. “A messy desk means something's getting done.” Los Angeles Times 29 Jan. 2007: A20.